One of the most hyped and rightfully so upcoming BMW, is the new 1 Series M Coupe. 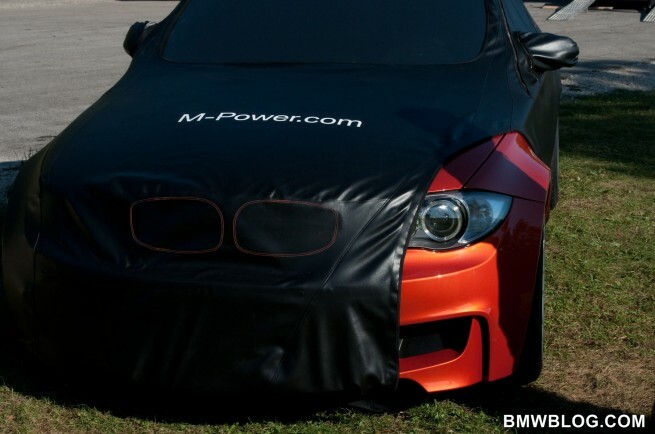 Recently semi-unveiled at the Oktoberfest 2010, the 1M, as many of us calls it, has moved up to the number 1 spot in the wishlist of BMW enthusiasts. The new car takes us back to the “M roots” when the company focus mostly on lightweight execution, coupled with incredible driving dynamics and extreme handling. Based on what we have seen or heard through official and unofficial channels, the 1M is built for purists and its true value will be appreciated by those that live and breathe BMW. The car goes to the soul of every BMW driver that became attached to the brand, not because of the image or status, but rather due to the “Ultimate Driving Machine” experience. This last group includes the folks at BMWBLOG and we decided to give our top 10 reasons why the 1M will rock our world, and why not, yours also. 3. It was built under the codename Pyrate. Shall we say more? 5. It’s a smaller, angrier M3. 6. Because the 135i is already amazing. 10. Because BMWBLOG says so and we are rarely wrong. Update: To make this more interesting, we asked our Twitter followers for their own input, we will update the list below as tweets come in. @arisemedia I have faith in M that they will produce a nothing-but-balls 1M. It’s in their bloodline and I would expect nothing less. @m5manny It’ll be awesome because it brings ///M back to a formula that made it LEGENDARY! @LPscuderiaSV Light(er) and nimble with good power. @hugo_atr Rear seats in the 1M are useless for adults, which saves weight.